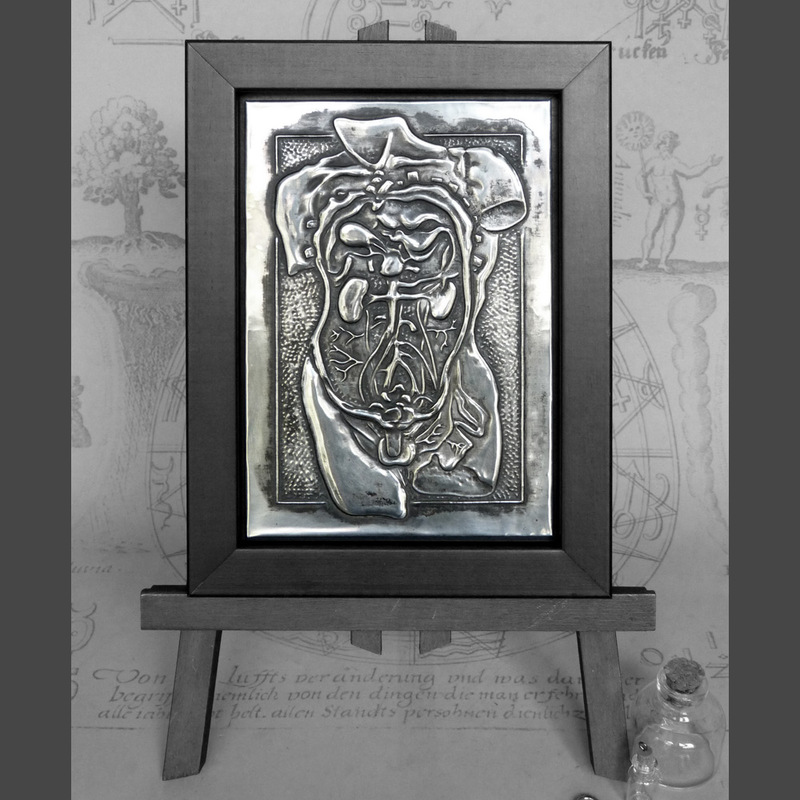 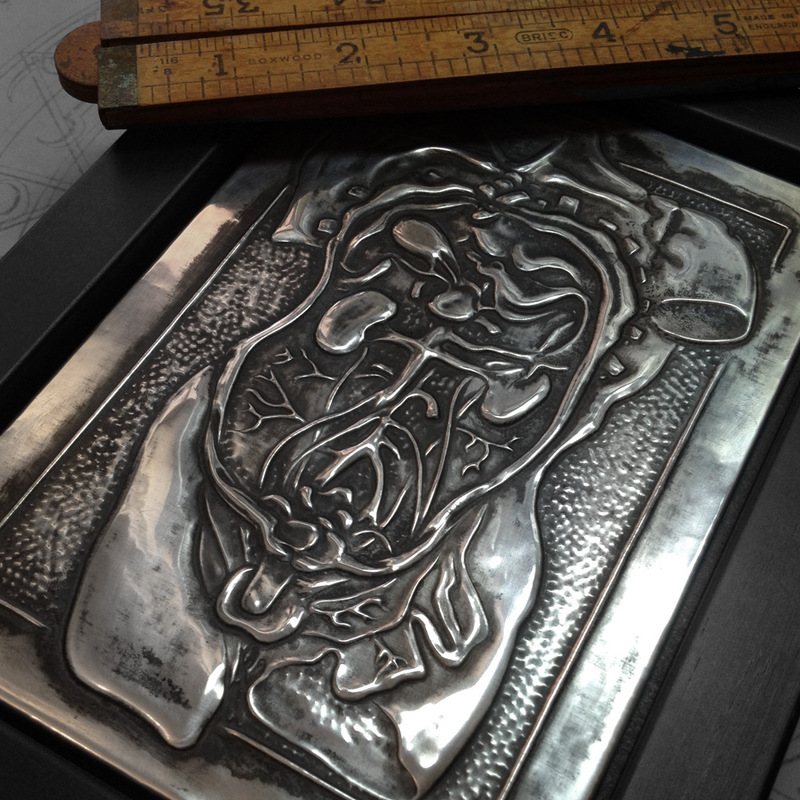 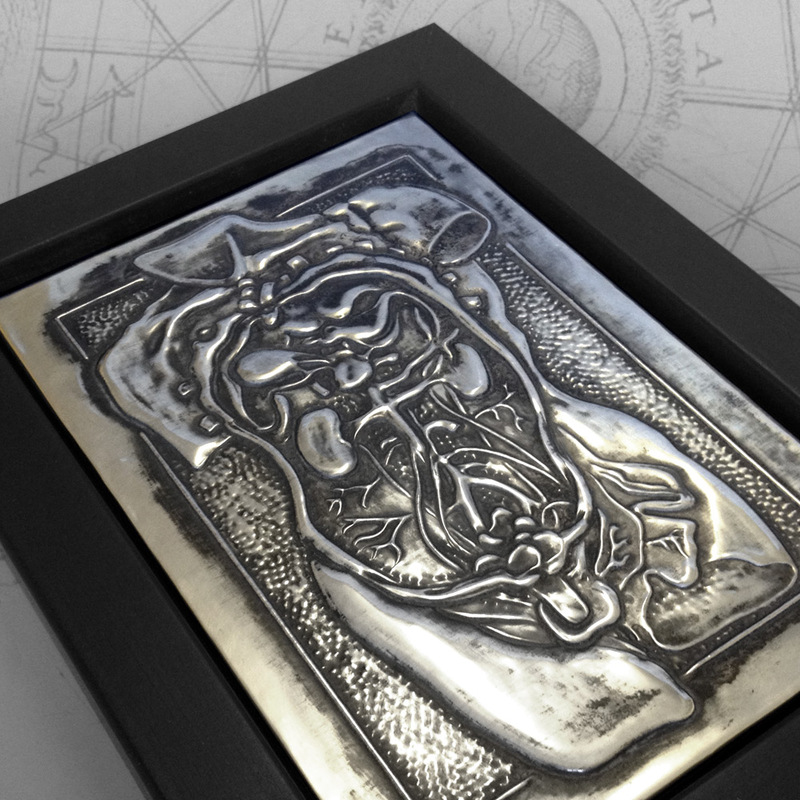 Frame: 20.5cm x 15.5cm x 3cm / 8" x 6" x 1.2"
Embossed panel: 16cm x 11cm / 6.3" x 4.4"
A dissected human torso, based on an engraving from an old medical textbook. 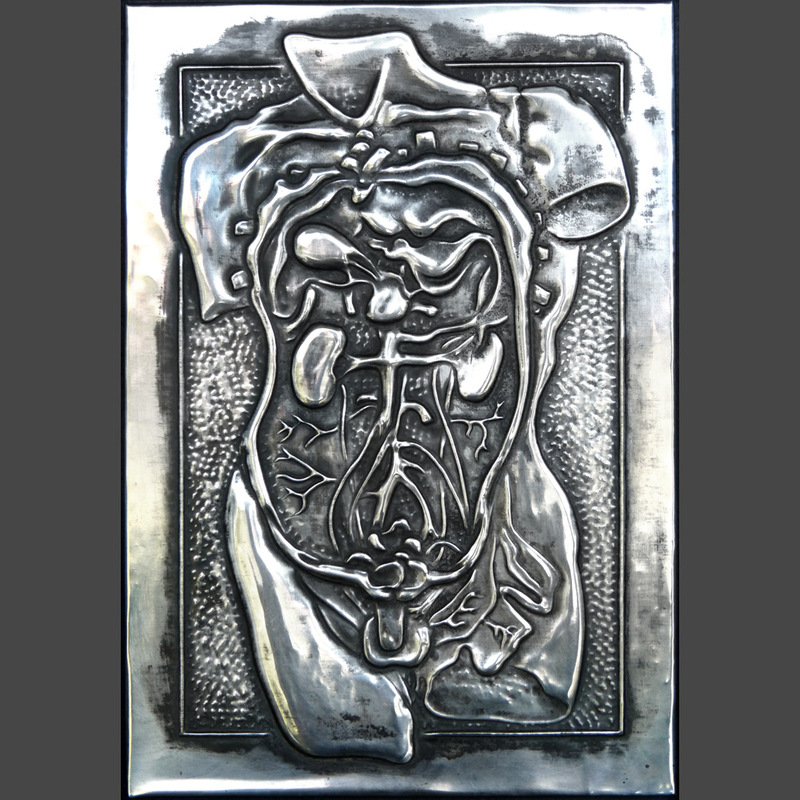 I particularly liked the ‘fan’ of broken ribs, and the way the torso looks like a Greek statue. 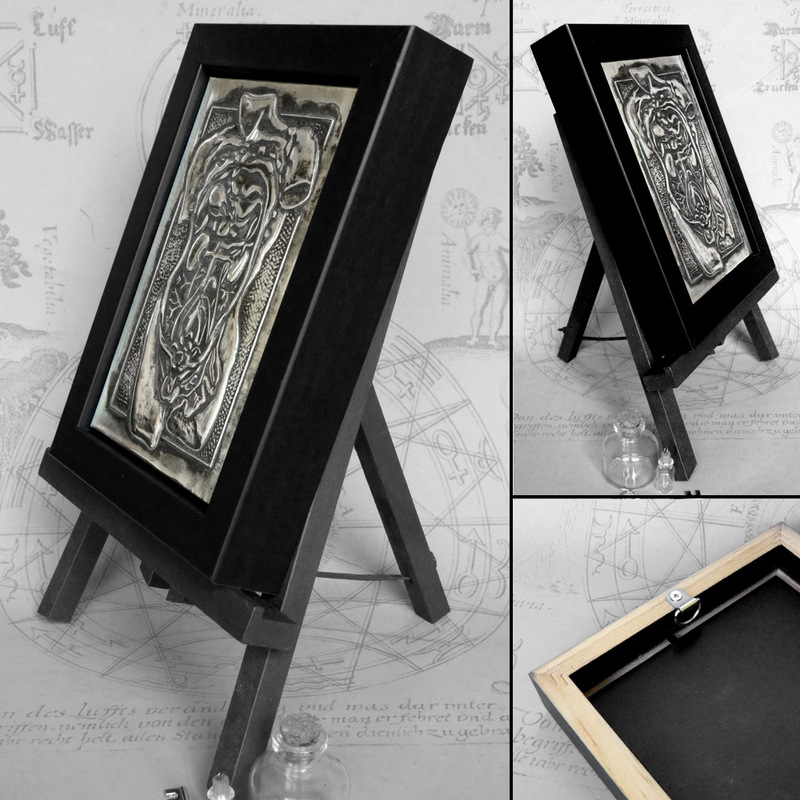 It has been doused in blackening solution, polished up to a high shine and set in a sturdy black frame.